Magento eCommerce is the leading platform with over a $50 billion in gross merchandise volume is transacted on the platform per annum. It is one of the recognized leading e-commerce platforms. it works hand in hand with the retailers, various brands and manufacturers for business to business and also for business to commerce to integrate physical and digital shopping experiences. It boasts a strong portfolio of cloud based solutions. Magento supports a vast global network with 300+ solutions and technology partners. Why you should use Magento for eCommerce development? 1. For Open Source Magento: Magento helps approaching in two editions. It’s free and easy to install, and modify it the way you want to use it. the enterprise edition has its price, but it is built in the way that the already used developer can modify the way they want. 2. Thoughtfully Designed for eCommerce: Magento was built exclusively for eCommerce. It has many attractive features like handling inventory, product packaging efficiently, user dashboards, supply management etc. These features are very much accepted as they are the main part of any eCommerce site. 3. Community Support: Magento is supported with a good level community support, developers from all around the world will help developers in creating this software, also with the doubts and various suggestions. They help you ensure that the eCommerce is updated and secured. 4. Vastly Scalable: Magento with the ability to scale, it helps you stay updated with new features and hence interrupting the complete system. One can customize largely with Magento. According to needs, we can go with ready extensions that are provided, or rather take help from can Magento developers for crafting extensions. 5. SEO Friendly Magento: Magento is completely an SEO-friendly content management system that helps to support to all your marketing plans. Preloaded with distinct, attractive SEO features such as search engine friendly URLs, layered navigation, keywords, and the descriptions, and many more. 6. Spacious and Commanding: Magento platform provides support to more than 500,000 products on a single website, and manages with more than 80,000 orders per hour. This signifies space available for future development between more distinct shopping carts on the same website at a time. Magento includes hosting requirements for finest performances and loading speed because of its size and simplicity. Just arranging the hosting prices on the sites earlier should be done. 7. Smart Filtered Search for Shoppers: there are various filters and option which helps the shopper to find the product he is looking for very easily. 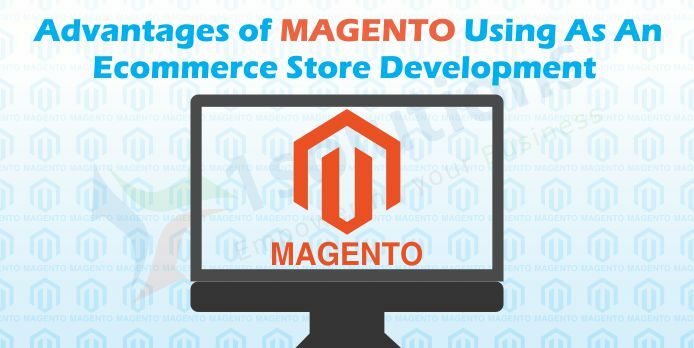 Magento uses a search term cloud, reviews, tag filters for the product, It has capabilities to configure searching with recommended terms generated automatically, and freshly compared and viewed products. 8. Mobile-Friendly: Magento has an option with which mobile-friendly can be easily created. It helps the users to approach the eCommerce websites. It has simple steps with which a mobile eCommerce site on the Magento platform can be put up.